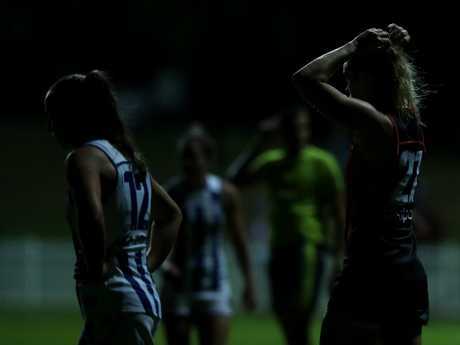 GWS and North Melbourne's AFLW coaches have praised the manner in which frustrating delays at Sydney's Drummoyne Oval were handled on Friday night. The Kangaroos triumphed by 25 points, extending an unbeaten start to their maiden season as the Giants slipped to 0-2. But the contest was overshadowed by a severe thunderstorm that lashed the suburban venue. The match started 43 minutes late because of lightning close to the venue, while a light tower also briefly stopped working. 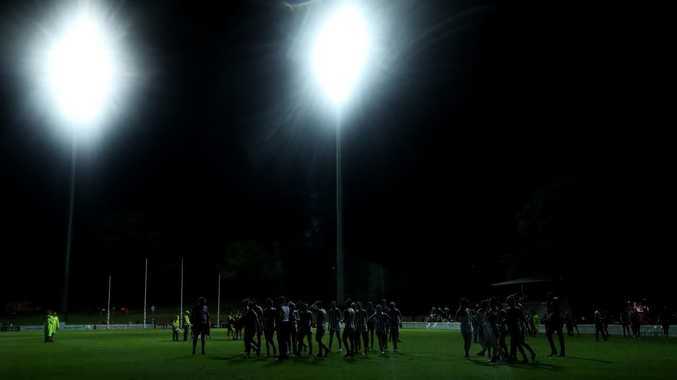 Play was then halted when three light towers at the ground temporarily went offline late in the second quarter because of a power outage, at which point North led GWS by 10 points. AFL's head of football operations Steve Hocking was on deck and, with the agreement of both teams, it was decided the halftime break would be shortened to six minutes. "We knew what was going on. In difficult circumstances the AFL communicated with us as effectively as they could," Giants coach Al McConnell said. "It was frustrating for the girls that we had a start time then it changes, another start time and it changes. "But the reality is if there's lightning going off, their safety is paramount." McConnell shot down the notion that GWS didn't want the match to continue and were keen to split the points when the lights went out. The players didn’t let a little bit of darkness stop them. "It's news to me. I never contemplated that the game wouldn't be played out," he said. North coach Scott Gowans suggested the messaging from the AFL throughout a challenging night was "pretty good". 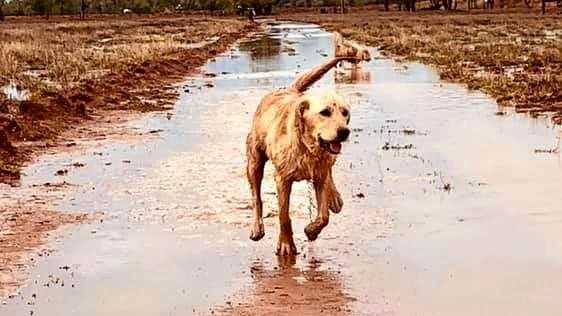 "They updated us constantly and we were always confident it'd go ahead," Gowans said. "It was relay just a process of waiting for the storm to clear." Both teams also downplayed an after-the-siren confrontation that involved North speedster Jenna Bruton and GWS ruck Erin McKinnon. "We all know each other, so we're all friends on both sides," Giants midfield Jess Dal Pos said. "It was just a little bit of chitter-chatter. Kangaroos captain Emma Kearney offered an even straighter bat. "I'm not really sure what you're talking about," Kearney said. Kearney, the AFLW's reigning best and fairest who was best on ground against GWS, insisted her team won't get ahead of themselves after two impressive victories. "It's better than two losses but it's a tough competition," she said. "We've got a tough draw. We'll travel down to Launceston and play last year's premiers, they're going to be up and firing. "But it's nice to start with two wins, it gives us good confidence and momentum."